In Hebrew Language, his name was Avram then YAHUVEH (a.k.a YAHWEH) GOD changed it to “AVRAHAM” which means “FATHER OF NATIONS”. Satan tempted him several times so as to destroy his destiny at crucial times particularly such as on his way to sacrifice Isaac unto YAHUVEH GOD, but Avraham overcame the temptations by YAH’S Grace. Avraham passed YAH’S tests! Click here for more information on Satan’s temptation of Abraham and Isaac. Also click here to learn how similar Abraham, Shadrach, Meshach and Abednego were in the way they lived on earth. The FIRST SIMILARITY is that both YAHUSHUA HA MASHIACH and Abraham are PROPHETS. 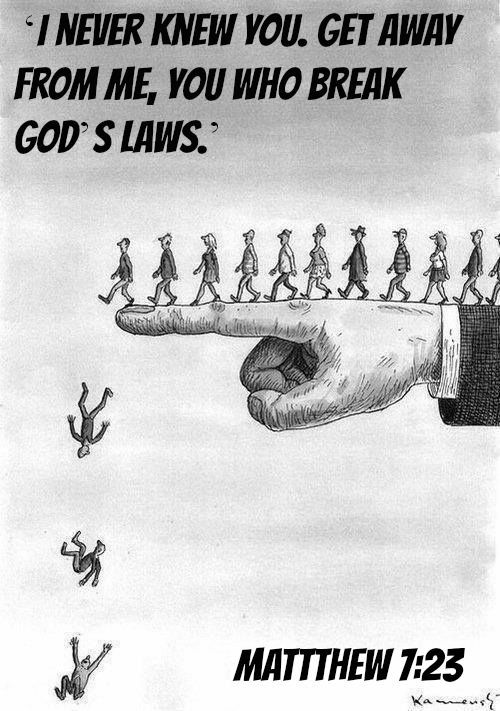 6 Now YAHUSHUA went out from there, and He comes to HIS hometown, and HIS disciples follow HIM. 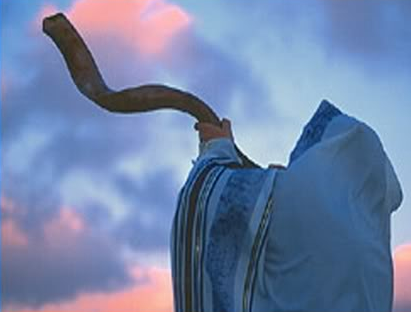 2 When Shabbat came, HE began to teach in the synagogue. Many listeners were amazed, saying, “Where did this fellow get these things? What’s this wisdom given to HIM? Such miracles are done by HIS hands! 3 Isn’t this the carpenter, the son of Miriam, and the brother of Jacob and Joseph and Judah and Simon? Aren’t HIS sisters here with us?” And they took offense at HIM. 4 Then YAHUSHUA began saying to them, “A PROPHET is not without honor except in his hometown, among his relatives, and in his own house.” 5 HE was not able to do any miracle, except that HE laid hands on a few sick people and healed them. 6 And HE was astonished because of their unbelief. [a] And HE was going around among the villages teaching. The SECOND SIMILARITY is that their BIRTH NIGHTS were quite similar. It is recorded in the HOLY BIBLICAL SCRIPTURES (Book of Jasher) that when Abraham was born, “A (Large) STAR APPEARED IN THE SKY ABOVE HIS BIRTH PLACE”. Some star gazers who were also some of the most important persons at Nimrod’s court in Ur of the Chaldees in Babel, or Babylonia saw the large star swallowing four stars on the four corners of the earth. This meant that Abraham was going to be a great man in the earth. Terah, who was Abraham’s father was called by King Nimrod concerning the baby born and the stars above his birth place. Terah had three sons, Abram who later became Abraham (youngest), Nahor, and Haran (oldest). Nimrod wanted to kill baby Abraham as a result of what the star gazers saw but Terah protected him by sending his mother away together with Baby Abraham and their nurse to hide in a cave for 10 years. Terah ensured that they had their provisions of food and other needs in abundance throughout that time. It is also recorded in the BRIT CHADASHAH (in English, NEW COVENANT/TESTAMENT) Gospels that when YAHUSHUA was born, “A STAR APPEARED IN THE SKY ABOVE HIS BIRTH PLACE“. The THIRD SIMILARITY is that both Abraham and MESSIAH YAHUSHUA were nearly murdered soon after their births (some days after birth). King Nimrod wanted to murder Abraham because he believed Abraham and his descendants would be greater than him in the earth and destroy King Nimrod and his descendants to nothingness. King Herod wanted MESSIAH YAHUSHUA dead because it was believed that HE would conquer King Herod and all the enemies of the Children of Israel. Also, King Herod heard rumours of another king being born. He hated competition. He also saw YAHUSHUA as a big threat to him that would destroy him and thereafter take his place. Abraham was born in a land that was full of wickedness (Idolatry a.k.a Ba-al / Bel Worship) against YAH. A, a man named Nimrod (ended up being deified as the sun god after his death) who is also mentioned briefly in the Book of Genesis was King. The Land was called Ur. In that land, nobody recognised YAHUVEH as GOD. 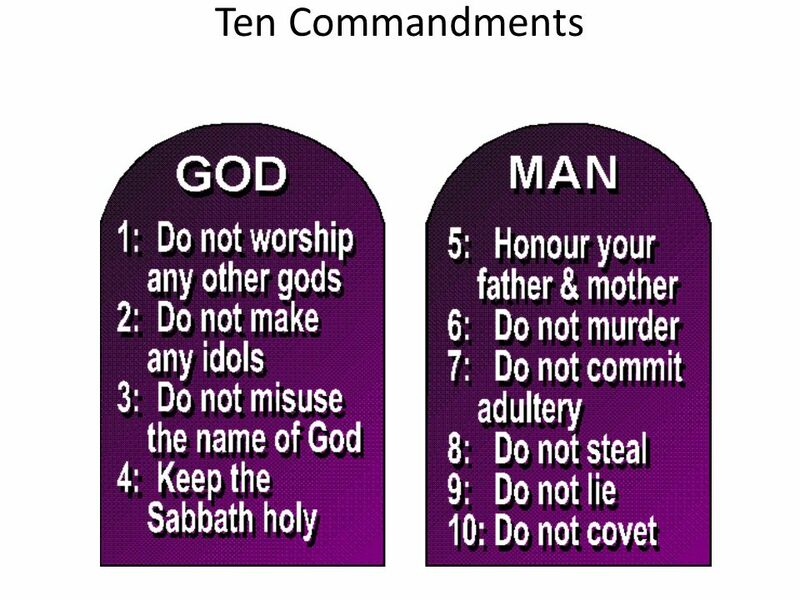 Idolatry was practised by everyone including Abraham’s parents. Abraham’s father was called “TERAH”. His mother was called “AMATHLAAH”…. Abraham had two other brothers. Abraham had to be hidden from the King, Nimrod and the King’s subjects for a very long time. This is because when one of his subjects saw the star in the sky and had just come out of Abraham’s house celebration of a newly born baby in Terah’s house, he reported it to the King, Nimrod saying that the Baby was bad omen thereby bringing bad luck to the kingdom of Ur, Chasidim. King Nimrod wanted to murder Abraham in his very early infancy by sacrificing him to his gods so that what they regarded as the “bad omen” that came with Abraham would be destroyed. Note that King Nimrod was the head of Babylon. He engineered the building of the “Tower of Babel” as well as “Child Sacrifice amongst other evil things. Terah found a way to trick the King since he was working for King Nimrod thereby protecting Abraham. By the time, King Nimrod had sent his subjects to search Terah’s house for Abraham and take him back to the King, Abraham and his mother had already run away to hide. Note that when YAHUSHUA was born, a man named Herod was King at the time. King Herod happened to hear rumours of a baby/child being born and would become a great king and/or Messiah when he grew up. Joseph and Mary as instructed by YAHUVEH through HIS HOLY ANGEL fled to Egypt and stayed there for some time (approximately 39/40 days) until King Herod died. This was to protect YAHUSHUA from being murdered in his very early infancy. Remember that King Herod ordered for all male children aged of 2 years and under to be killed in the hope that in the process, YAHUSHUA too would be got rid of. The FOURTH SIMILARITY is that both Abraham and MESSIAH YAHUSHUA were persecuted heavily and tortured during their time on earth. In fact, Abraham was persecuted a lot while on earth. He was nearly CRUCIFIED by King Nimrod’s subjects as a result of challenging King Nimrod about his idolatry practices. Abraham ended up being placed in a FIERY FURNACE just like Shadrach, Meshach and Abednego. Abraham was 50 years old when this happened. MESSIAH YAHUSHUA was greatly persecuted by HIS people, Israel and the Romans for speaking too much TRUTH that challenged the norm. While on earth, Abraham was constantly persecuted for speaking against idolatrous practises of his family and others around him. In fact, once his father, Terah reported and agreed to having Abraham arrested because he had deliberately destroyed his idols shop/business. Abraham often challenged his family and those around him as to why they worshipped things that did not and could not talk back to them or create anything. Abraham always said that there must be/is certainly a bigger and greater GOD above who created, creates and controls all things around the world. That great GOD could not be so small to the point of being placed in houses in the form of stone or clay shaped items. 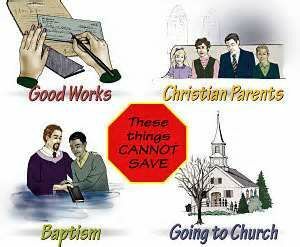 That GOD could also not be bought and sold. His family and those around him detested Abraham for saying such things. On a few occasions, Abraham had to flee the Land of Ur as a grown up just to preserve his life. He ended up spending some years with Noah, one of his many grandfathers. Noah taught him a lot about THE ALMIGHTY CREATOR (YAH) GOD OF HEAVEN AND EARTH AND EVERYTHING IN IT. When Abraham was more confident concerning HIS GOD that HE had believed in from childhood, he returned to the Land of Ur, where his parents had been residing. Abraham really did stand out amongst the people of Ur because he could not stop challenging their idolatry. He was the only one who spoke like that. 13 And in the fiftieth year of the life of Abram son of Terah, Abram came forth from the house of Noah, and went to his father’s house. 16 And Abram came to his father’s house and saw twelve gods standing there in their temples, and the anger of Abram was kindled when he saw these images in his father’s house. 17 And Abram said, As the Lord liveth these images shall not remain in my father’s house; so shall the Lord who created me do unto me if in three days’ time I do not break them all. 18 And Abram went from them, and his anger burned within him. And Abram hastened and went from the chamber to his father’s outer court, and he found his father sitting in the court, and all his servants with him, and Abram came and sat before him. 24 Now, therefore, hasten and fetch a kid from the flock, and make of it savory meat, that I may bring it to my father’s gods as an offering for them to eat; perhaps I may thereby become acceptable to them. 25 And his mother did so, and she fetched a kid, and made savory meat thereof, and brought it to Abram, and Abram took the savory meat from his mother and brought it before his father’s gods, and he drew nigh to them that they might eat; and Terah his father, did not know of it. 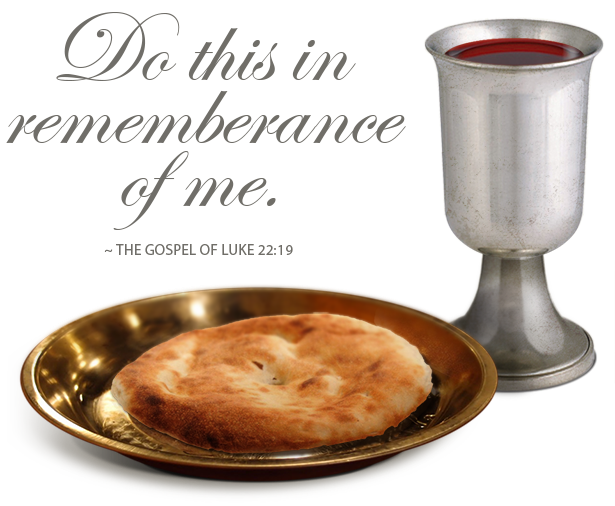 29 And Abram took the savory meat from his mother, and brought it before his father’s gods into the chamber; and he came nigh unto them that they might eat, and he placed it before them, and Abram sat before them all day, thinking perhaps they might eat. 33 And when Abram saw all these things his anger was kindled against his father, and he hastened and took a hatchet in his hand, and came unto the chamber of the gods, and he broke all his father’s gods. 41 And Terah’s anger was kindled against his son Abram, when he spoke this; and Terah said to Abram his son in his anger, What is this tale that thou hast told? Thou speakest lies to me. 49 And Abram hastened and sprang from before his father, and took the hatchet from his father’s largest idol, with which Abram broke it and ran away. 51 And he said, I beseech thee my lord, to hear me–Now fifty years back a child was born to me, and thus has he done to my gods and thus has he spoken; and now therefore, my lord and king, send for him that he may come before thee, and judge him according to the law, that we may be delivered from his evil. YAHUSHUA too really did stand out everywhere HE went. It is recorded in the Lost Book of the Bible called “THE INFANCY OF JESUS” (which should be called “THE INFANCY OF YAHUSHUA) that YAHUSHUA started performing MIRACLES from the very night HE was born. 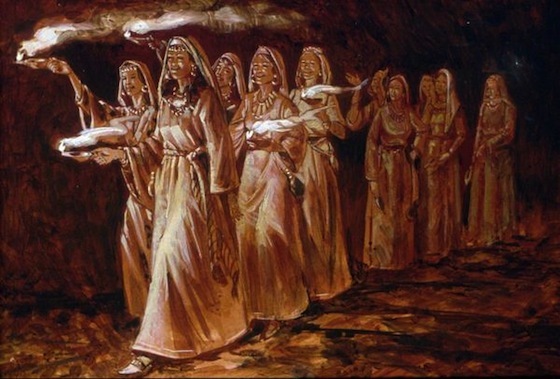 The very lady who helped Mary (in Hebrew, Miryam or Miriam) to deliver her of YAHUSHUA received a MIRACLE. Her name was Salome. She was a mid-wife. The Shepherds and the three wise men as well as many other visitors received MIRACLES. Those whom YAHUSHUA came in contact with while in Egypt also received MIRACLES and in fact, various people began to book Joseph and Mary plus baby YAHUSHUA to stay in their houses on various nights. Everyone who visited YAHUSHUA as a newly born baby received a MIRACLE from HIM especially if they had a cuddle or just touched HIS clothes. YAHUSHUA was constantly persecuted while on earth for speaking strange words to those around HIM. YAHUSHUA preached holiness and constantly claimed that GOD THE FATHER is HIS FATHER. This made the people around HIM conclude that HE claimed that HE is GOD. They did not like that. Abraham was also persecuted for preaching against idolatry and claimed that there was a much bigger and almighty GOD who created all things. Having challenged the King, Nimrod concerning idolatry, it was decided that Abraham be imprisoned during which time, the King and his advisers discussed how they would judge Abraham. The result of their meeting was that Abraham was to be hang on a tree based on the crimes he had committed against the King. However, due to the fact that Abraham had gone beyond challenging the King regarding the idolatry by also speaking against the idols they worshipped as their gods, they judged that Abraham should be burned to death in a fiery furnace. From this, we learn that the idea of CRUCIFIXION actually started during the time of King Nimrod (way before the time of YAHUSHUA’S earthly visit). YAHUSHUA claimed to be “THE SON OF GOD and that YAHUVEH GOD THE FATHER was HIS FATHER. YAHUSHUA did a lot of miracles on SHABBAT including healing the sick. This was unacceptable by the Orthodox Jews. They considered it to be unholy before YAHUVEH GOD Almighty. They also considered it to be work. Abraham was nearly crucified because he challenged the idols of the land as well as King Nimrod. In the process, he challenged the superiority of the King as though he was above the King. YAHUSHUA was seen in exactly the same way by those Jews who crucified him with the help of the Romans. Abraham was eventually thrown into a fiery furnace where he overcame. 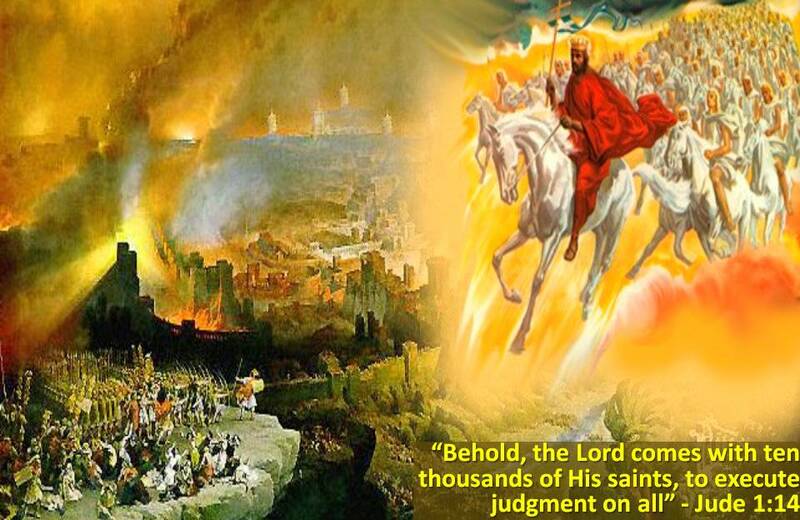 YAHUSHUA went into hell the lake of fire (fiery furnace) upon his death where he fought Satan and overcame him and his subjects who are fellow demons. YAHUSHUA obtained the keys of death and hades. The FOURTH SIMILARITY is that both Abraham and MESSIAH YAHUVEH were faithful unto YAHUVEH/ YAHWEH GOD all the way to the end and as a result, they were greatly rewarded for their faithfulness while on earth. 6 Then he believed in Adonai and He reckoned it to him as righteousness. 6 Then Abram believed Yahweh, and that faith was regarded as the basis of Abram’s approval by Yahweh. did not consider being equal to GOD a thing to be grasped. Abraham was rewarded for his faithfulness by YAHUVEH GOD as the “Father of Nations”. Through Abraham the nation of Israel was re-birthed and preserved… Abraham received a promise from YAHUVEH GOD that his descendants would like as stars in the Heavens. To Abraham, the Hebrew Language was downloaded so as to preserve it as it had disappeared after the Tower of Babel event. Satan ensured that the Hebrew Language because dissolved over time. YAH restored it. The evidence for this can be found in the Book of Jubilees. 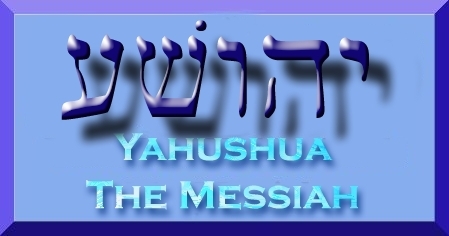 YAHUSHUA HA MASHIACH was rewarded for HIS faithfulness by YAHUVEH GOD by making HIS name to be exalted above every other name in the HEAVENS and the earth. 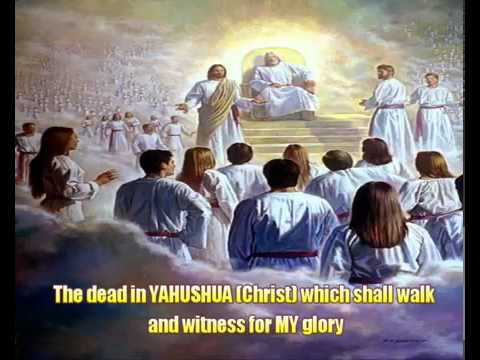 Additionally, YAHUSHUA HA MASHIACH is the ONLY ONE WORTHY TO BREAK THE SEALS and release YAH’S end-time judgement. 5 And I saw in the right hand of the One seated upon the throne a scroll, written on both the front and the back, sealed with seven seals. [a]2 I also saw a mighty angel proclaiming with a loud voice, “Who is worthy to open the scroll and to break its seals?” 3 No one in heaven or on the earth or under the earth was able to open the scroll or to look into it. 4 I began to weep loudly because no one was found worthy to open the scroll or to look into it. It has been said by someone who had a HEAVEN and HELL encounter that when one dies and goes to the HEAVENS, Abraham welcomes them to the HEAVENS. How far are you willing to go to please YAH? 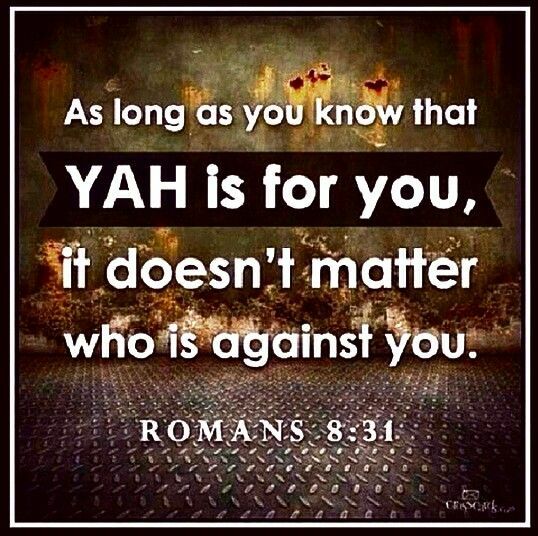 Can you STAND FIRM for YAH no matter what!!! Click here for more information on MARTYRDOM. Also, click here to read about SIMILARITIES BETWEEN ABRAHAM, SHADRACH, MESHACH and ABEDNEGO. For more on the LESSONS LEARNED, scroll down and also click here. Such an important event as Abraham’s defiance of Nimrod, the king and leader of all the heathens and idol worshippers of his time, which led to Abraham’s being thrown into a burning furnace, is only hinted in the Torah. The full story of this and other important events in Abraham’s early life was only told by word of mouth, from generation to generation, until the details were finally recorded by the Sages of the Talmud in various Midrashim. Some of them we have already told you in our previous TALKS, and we will here fill in other interesting details about Abraham’s early life, until he reached the age of seventy five. Abraham (who was first called Ab­ram) was born in the year 1948 after Creation (1813 BCE). (According to one tradition he was born in the month of Nissan; according to another, in the month of Tishrei.) His father’s name, as you all know, was Terah, who was seventy years old when Abraham was born. Abraham’s mother’s name was Amathlaah. The town in which he was born was called Cutha, in Mesopotamia. In the Torah, Abraham’s birthplace is called Ever-haNahar (“Beyond the River”). Abraham was the tenth generation removed from Noah, being a direct descendant of Shem, (Noah’s son), the father of all the “Semitic” peoples. When Abraham was born, Shem was 390 years Old, and his father Noah was 892 years old. Abraham was 58 years old when Noah died. These are important facts, for, as we shall see later, Abraham spent many years in the house of Noah and Shem, and received instruction from them. Thus he learned all the details about the Flood from the very men who built the Ark and survived the Flood. (Noah knew Methuselah for many hundreds of years, who in turn knew Adam for many hundreds of years, which means that Abraham received reliable information about everything that happened since the very first day of Creation!). Terah, Abraham’s father, was the chief officer or minister of the first king mentioned in the Torah, the mighty King Nimrod of Babylon (also known by its former name, Shinear, and the land of the Chaldees). Terah was an idol worshipper, like his king, and their chief god was the Sun. We have already told you what a close brush with death Abraham had on the very night of his birth. For Nimrod’s stargazers told the king that Terah’s newly-bom son would one day be a danger to his throne. Nimrod ordered Terah to send him the baby, to be put to death. Terah, however, outwitted the king. Instead of sending his real son to the king, he sent the baby of a slave who was born on the same night as Abraham, and Nimrod killed the baby with his own hands, believing that he was now safe from the threat. The baby Abraham, with his mother and nurse, were hidden in a cave for ten years. At the age of three years, Abraham knew that it was silly to worship the sun or any other idol, but that there was a great G‑d, who created the sun and the moon, and the whole world, who, though Himself unseen, sees everything and knows everything, and is the real King of the World, more powerful than Nimrod. And since that time, Abraham’s faith in G‑d grew stronger every day. At the age of ten, Abraham decided to leave the cave and to go to old Noah and Shem, of whom his mother had told him many wonderful stories. Unknown to anybody, Abraham made his way from the low country to the mountainous region of Ararat in the land of Kedem, where Noah and his family lived. He was made welcome by old Noah and Shem, who taught him all they knew about G‑d and the ways of G‑d. Abraham stayed there for nearly 39 years, until the year 1997. It was at the end of this period, when he was 48 years old, while still at Noah’s house, that Abraham heard about the world-shattering event of the Tower of Babel, which took place in the land of Shinear, where Nimrod reigned supreme. Nimrod and his people wanted to build a tower that would reach up to heaven, so that they might establish their reign upon the heaven as well as on the earth. It was the height of arrogance and defiance of men against G‑d, and it led to confusion and to their dispersal and division into seventy tongues and nations. Abraham decided that it was high time for him to go out and teach them the truth about G‑d, and about the falsehood and worthlessness of the idols. He knew that in defying Nimrod, and even his own father, he would be risking his life, for Nimrod had proclaimed himself god and demanded that all the people worship him. At the age of fifty (in the year 1998) Abraham returned to his father’s house in Babylon. Terah was a high priest of the idol worshippers. He had twelve chief gods, one for each month of the year, and other idols. In fact, there was a workshop in Terah’s house, where idols of wood, stone, silver and gold were made. People came to offer sacrifices to these idols, or to buy them, and Terah had a thriving business. Terah appointed Abraham to be the salesman and take charge of the business. How “well” he conducted the business, we have already told you. Abraham’s activities, in words and deeds, aroused Nimrod’s anger. Both Abraham and his father were ordered to appear before the king. Here the king’s stargazers at once recognized Abraham as the one about whom they had warned the king. Terah was taken to task for deceiving the king, and he put the blame on his older son Haran, who was 32 years older than Abraham. Haran had secretly followed Abraham, but he was not quite sure whether he was wise in doing so. He thought that he would come out openly on Abraham’s side, if and when Abraham would come out victorious. Nimrod ordered that Abraham be thrown into a burning furnace. When Abraham came out unharmed, Haran declared himself on Abraham’s side and chose to be likewise thrown into the furnace, and he was burnt to death. Abraham, on the other band, whom G‑d” had so wonderfully saved from the fire, was acclaimed by all the people, and they were ready to worship him. But Abraham told them to worship G‑d, who had saved him from the burning furnace, and that he himself was nothing but a human being. Nimrod was greatly afraid of Abraham. He gave him many precious gifts, among them Eliezer, a member of the king’s household, who became Abraham’s trusted servant and friend. Abraham, and his remaining brother Nahor, married two sisters, their nieces, the daughters of their brother Haran. Nahor married Milkah, and Abraham married Yiskah, better known as Sarai, (later-Sarah). Two years later, Nimrod had a strange dream and once again his counsellors interpreted it to mean that as long as Abraham lived, his kingdom would be in danger. Nimrod, who had been worried about Abraham all the time, decided to try again to kill him, and sent men to capture him. Fortunately, Eliezer learned of the plot and informed Abraham in good time. Abraham, with his band of followers, numbering over 300, fled to Noah. About a month later, his father Terah came to visit him there. Abraham persuaded him to give up his idolatry. He pointed out to him, moreover, that his life was also in danger, for Nimrod would not spare him. So Terah gave up his high position at Nimrod’s court, and decided to go with Abraham to the land of Canaan, where they would be free to worship G‑d, out of reach of Nimrod. Thus Terah, his son Abraham and his wife Sarai, and Lot, Haran’s son, and all their household left Ur of the Chaldees in Babylon and set out for Canaan. On the way they came to Charan, where Nahor lived, found it a good place, and stayed there. Three years later, when Abraham was 55 years old, G‑d appeared to Abraham and told him to take his wife and household and go on to Canaan. This Abraham did, and be stayed there 15 years. At this time, when Abraham was 70 years old, G‑d made a covenant with him, and soon afterwards Abraham returned to Charan, where he stayed for five years. Then, once again G‑d appeared to Abraham and told him to leave his father’s home and native land for good, and go to the land of Canaan. This time, Lot his nephew (and brother-in-law) accompanied him. Terah died in Charan, and Nahor remained there with his family. Thus, at the age of 75, Abraham came to dwell in the land of Canaan, the land which G‑d had promised him to be the chosen land for his children as an everlasting inheritance.